Dieter Rams is one of those designers in which you can’t seem to shake off, no matter what creative industry you’re in. You have to pay homage to the man who was so ahead of time, he was in another world to be exact. Obviously Dieter has only recently been more admired for his works, specifically because of Jonathan Ive and his work at Apple Inc. Jonathan has totally recreated the look of Apple’s products, from the iPhone to the Ipod, in which all take on this minimalist feel. All thanks to the inspiration of Mr. Rams. It’s ok to simplify, but you need the complexity to back it up, straight forward on the outside, technical on the inside. Which works for both of these cases, Dieter who worked for electrics company Braun, and Jonathan who works for Apple. 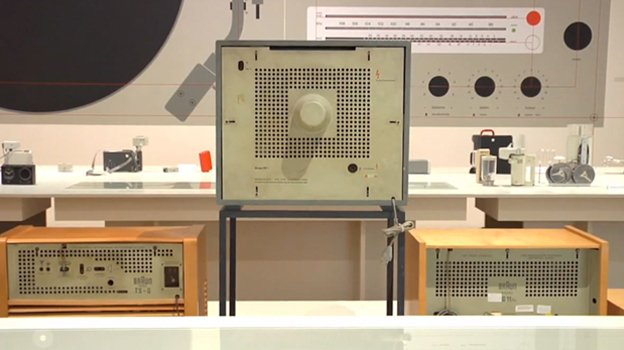 This video below is brought to us by Cool Hunting, who visited the Design Museum in London where they are celebrating the work of Dieter Rams. Director Deyan Sudjic and Michael Czerwinski, who work on the institution’s public programs, both describe what made Rams such an important designer and also what direction the exhibit takes.